Traditional Sash Windows are ideal for crafting that grand first impression, and look stunning when installed on both Victorian farmhouses with vibrant red bricks and quaint farmhouses with light stone walls. Sliding vertically rather than opening outwards, Sash Windows can be tailored to your property to maintain its unique characteristics. Their symmetrical design creates a consistent aesthetic, whilst letting natural light stream into your home. Every farmhouse is different and the windows are no exception which is why all of our windows are completely bespoke and crafted for your home. It doesn’t matter how irregular the window openings are, the windows will be tailored to that size and proportioned correctly. We have a huge amount of knowledge and experience in creating everything from arched windows to intricate leading or glazing bar designs. All of our products follow the same advanced manufacturing process meaning you receive the benefits of our advanced techniques such as secure locks and double glazing, without having to compromise on the design. Preserve your farmhouse charm with timber doors that are suited to your property. From front doors to kitchen entrances, every door matters, especially when it comes to keeping up with your family traditions. Create that inviting ambience with a front door that makes an impression. Whether you run a little B&B or sell fresh eggs for passers-by to purchase, your front door will influence how your farmhouse is perceived. For a Victorian farmhouse, we’d recommend choosing a traditional style of door such as our Chadlington, or opt for a Frenchay or Kingston door to allow your hall to be flooded with natural light. Alternatively, our Staverton or Thorncliffe are perfect for recreating that quintessentially English farmhouse appeal. Stable doors, or barn doors as they’re sometimes referred to, are synonymous with farmhouses and are perfect for kitchens or utility rooms. Not only do they look good, but are highly practical too. By being able to choose whether you want to open the full door, or just half, you can let light and air into your home, without worrying that any young children or pets will make an escape. Traditionally though, stable doors are a nightmare to live with; draughts, rattles, leaks and poor security are all part and parcel when owning one. Taking this into account, our stable doors have been designed to include full height integrated locking systems, dual weather seals and are made from engineered timber to combat the movement that so commonly plagues wooden doors. Another door type that can maintain and add charm to a farmhouse is a pair of French doors. They can be customised to match the exterior of your home, giving you the opportunity to relax in your sitting room whilst looking out onto your garden and beyond. Farmhouses are well known for their attention to detail, so to maintain your traditional touches, the choice of door furniture should be carefully considered. Central door knobs add a timeless finish to Victorian farmhouses whilst black hammered door hardware looks stunning when installed on a classic timber door. All our doors and windows are finished to the highest of standard, painted and stained to suit your preference and property. 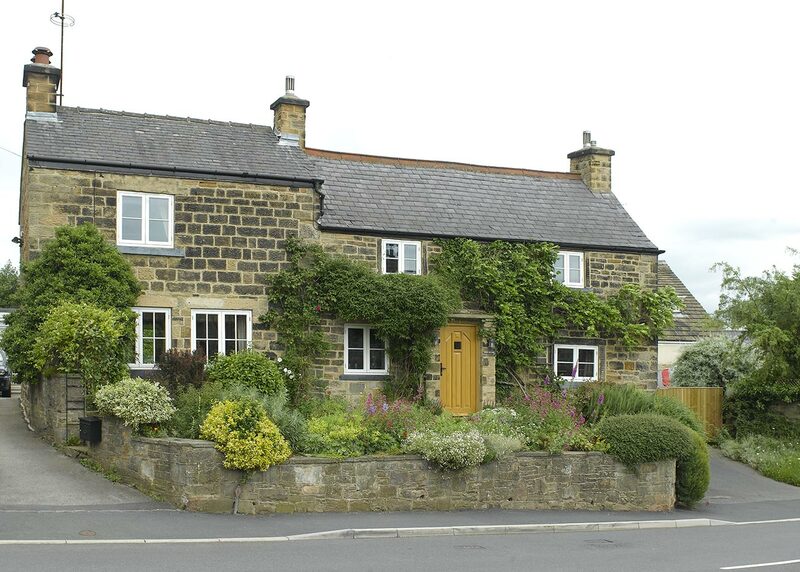 To find out more about choosing windows and doors for your farmhouse, give one of our experts a call today.